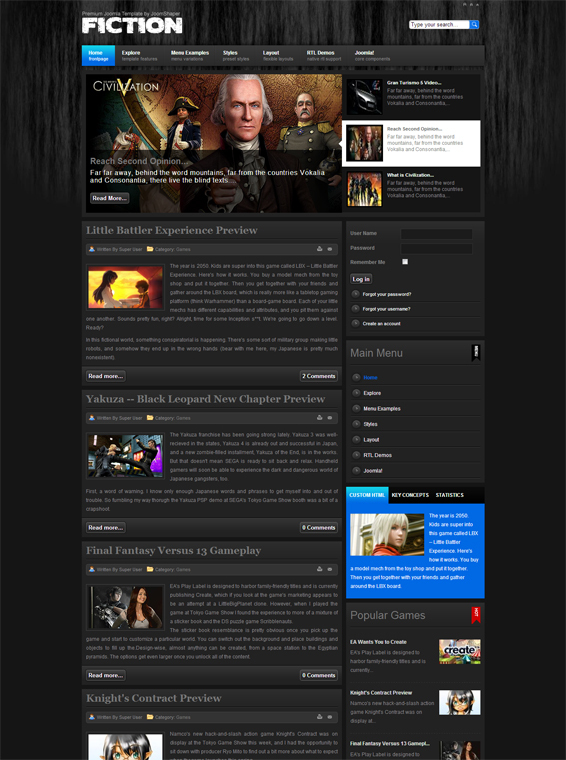 JS Fiction - stylish pattern play themes in dark colors from the developers JoomShaper for Joomla 2.5. Impressive design pattern is presented in 3 colors (blue, green, red), which can be switched in the admin panel. Fiction contains its own error pages and service messages, 13 module positions and qualitative block layout layout. Code template files perfectly optimized, there is support for all browsers and mobile devices.